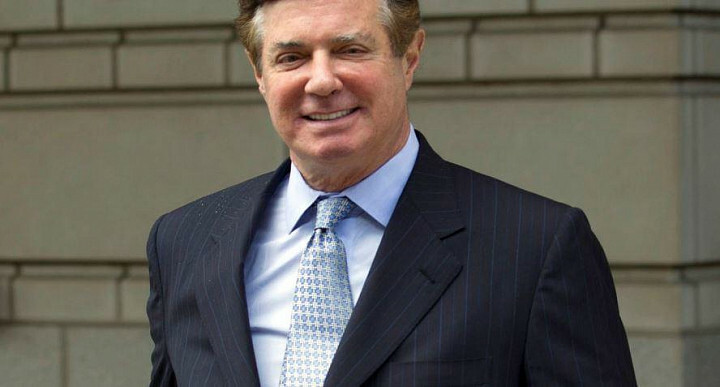 Amid reports that former Trump campaign executive Paul Manafort has been spending an awful lot of time in the special counsel's office (visiting at least nine times in the last four weeks, according to CNN), the Virginia judge who presided over the summer trial where Manafort was convicted of 8 counts of tax fraud and failing to disclose foreign bank accounts has dismissed the 10 remaining deadlocked counts against against the political operative, the first indication of how Manafort's efforts to cooperate with prosecutors (turning over information that some believe could lead to one more bombshell indictment from the special counsel) has benefited him. Manafort appeared in an Alexandria Federal Court Friday in a wheelchair, and his lawyer complained of his client's ill health, and asked that he be sentenced as soon as possible. Judge T.S. Ellis then set a date for Manafort's sentencing was set for Feb. 8. Manafort's lawyer, Kevin Downing, said this expedited sentencing was for Manafort’s safety. Moving up the pre-sentence investigation would allow Manafort to move as soon as possible out of a local jail and presumably to a federal prison, per the Washington Post. Mueller's team of prosecutors approved the dismissal after Ellis criticized an arrangement between prosecutors in Manafort that would delay dismissal of his remaining charges as "highly unusual" after Manafort pleaded guilty to charges in a separate case in Washington and agreed to cooperate. Under the deal, the special counsel did not have to decide whether to prosecute Manafort on the remaining 10 Virginia charges until after he was done cooperating. But Ellis called that agreement "highly unusual" and told the special counsel to make a decision now. Lawyers with the special-counsel probe agreed, saying they would accept a dismissal of the counts and prepare for sentencing as long as it remains possible to refile the charges in the future. (It is also possible for charges to be dismissed “with prejudice,” meaning they can never be filed again). We still don't know what Manafort told Mueller, but reports have speculated that he could have provided information on a range of issues, from the Trump campaign's relationship with Russia to the Republican Party's decision to soften language in its convention platform pertaining to Russia and Ukraine.